“Voices From Rikers,” is a new series for Don Diva featuring the perspectives and experiences of some of the young men who have served time there. Through this, we hope to give readers a look at the conditions that inmates face on Rikers and the circumstances that lead to young people being incarcerated there, and other facilities across the nation. Today’s installment comes from a young man named Asad Giles, from Brooklyn. This is his story. My name is Asad Giles. I am 20 years of age. I did 28 months for attempted murder, locked behind cell after cell for a crime that I did not commit. I was taken away from my family, friends and society for nothing. I am now working on my book, spoke in support of continued visitation on Rikers Island on NY1 News, have a full time job and am soon attend college. Caged. Mistreated. Hopeless. These are the feelings of the many men & women who are incarcerated on Rikers Island, an environment surrounded by water, visibly saying there’s no escape. It’s a place where thousands of people are treated like caged animals; a place where HUMANS are called PACKAGES. Let me tell you a little something about my experience. Me and a couple of friends were falsely accused of attempted murder in April 2012. I was at the young, tender age of 17 when I was hit with seven [years] on A and B felony charges. Imagine facing those absurd, life-threatening charges at such an age, at such a random time in life. It was my senior year in high school. Everything was going great. I had all my regents, was passing all my classes and got accepted to a couple of colleges. Life was going great. BOOM! April 15, I wake up to a thundering knock from the police. I heard a strong, worried cry from my older sister running towards my room, asking what I did. I was totally unaware of anything she was saying or what was going on. I was taken to a precinct where I was harassed. Racial slurs were thrown at me and I was questioned with force. 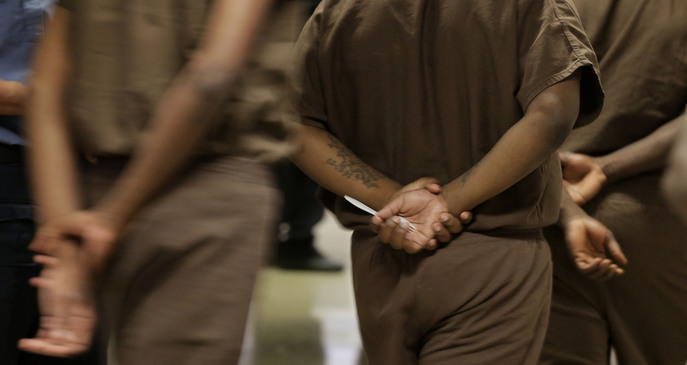 I went to “C-74,” a jail on Rikers full of adolescents. My very first day, I seen a boy get jumped by a group of guys. I was good in there, because I knew a couple guys in there. From that day on, I knew it was going to be a jungle. I did 19 months in the adolescent section until I turned 19. I got sent to GRVC, or “The Beacon.” This is the maximum security jail on Rikers Island, for guys who have high-profile cases. In The Beacon, cuttings were normal, gangs were in bunches and correctional officers were corrupted, just like they were in C-74. Every day that passed while I was in jail, I thought about so much. Just the smell of outside in my town made me smile. I did nine months in The Beacon, until I was acquitted of all charges at trial. I was facing 25 years of my life if I blew trial, all for something me and my friends had nothing to do with. Rikers Island: a place where gangs prevail and violence lingers the air. Asad is now home, employed and will be starting college in the Fall. Read here the allowance program for teens put in place on Rikers Island.